What can relate to leadership? You have to balance out your physical, spiritual, mental and emotional aspects of life. This is what Habit Seven represents. 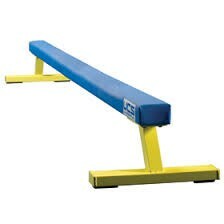 A balance beam is a great symbol to show this because to get to the other end of a balance beam, being balanced is crucial. 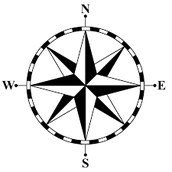 A compass relates to leadership since it informs you on which way to go. This is what a leader should do for his/her followers. This can relate to the generosity lesson because one person being kind can lead others to do the same. 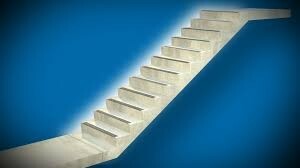 Stairs can relate to the personal platform lesson, which shows where you started and the steps taken to get to where you are now. A tour guide informs people where to go and good ideas to do. This can go back to the animal personality lesson. 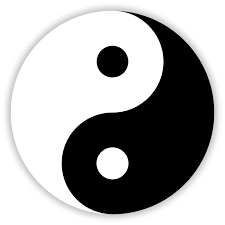 A Ying Yang represents the good and bad which can relate to the Good .vs. Bad lesson. 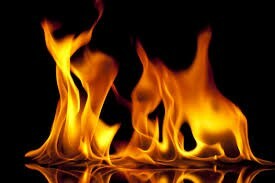 In order for a fire to start it has to grow from something. It could be a small spark but it can cause something huge. Just like a small idea in a leader can change the way a leader thinks and acts. 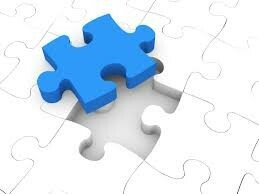 A puzzle needs all the pieces to be put together. Just like a leader needs to know everything good about them to be complete and good. This can go with the Jigsaw Puzzle Activity. 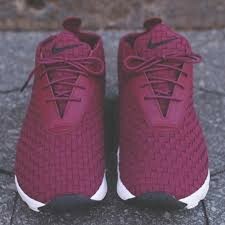 Shoes are meant to protect your feet. A leader should protect their followers and get them places safely. This can go with the Thermostat .vs. Thermometer lesson. A conductor instructs a band or orchestra in playing their music correctly. A conductor also watches out for the players just as a leader should. This can go with the geese lesson. 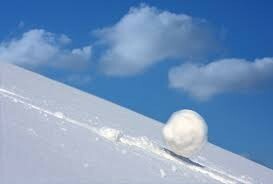 A snowball grows as it collects snow. Just as a leader grows as they pick up information on how to do what. This can relate to the 'Man in the Mirror' lesson.